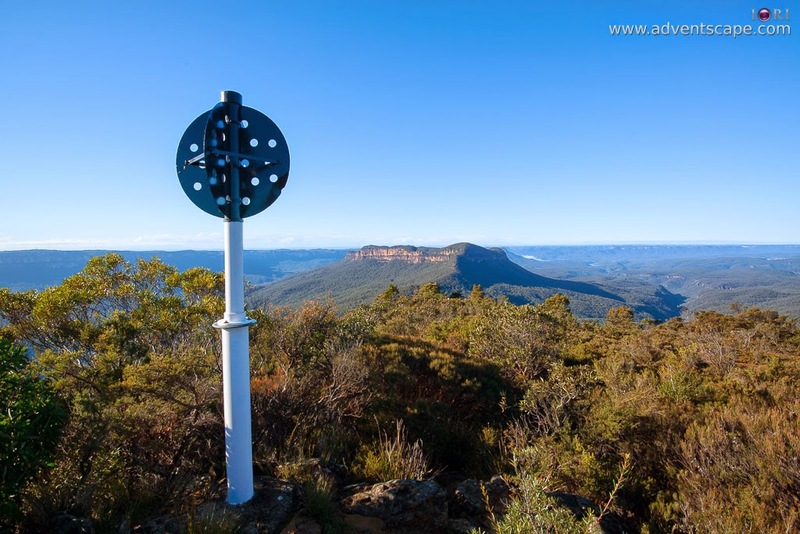 There are many lookouts at Blue Mountains that will let you view the vast space of the valley below including Jamison Valley, Narrow Neck, Mount Solitary and even The Three Sisters. Some lookouts are challenging to get to and some are very easy. A friend of mine invited me to go to Castlehead lookout. Its seems an ordinary lookout at first, but when you're there, you'll photograph yourself in the most beautiful angle possible. 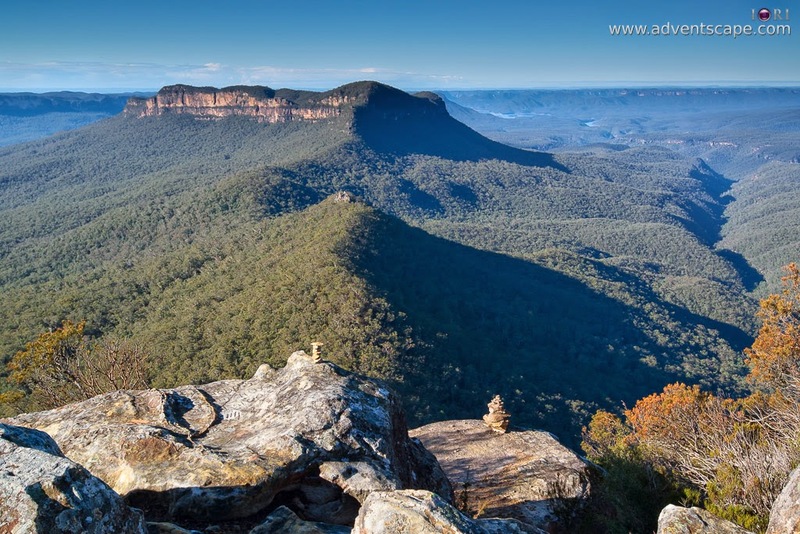 Castlehead lookout is at Katoomba. This suburb is well know to tourist and locals alike. 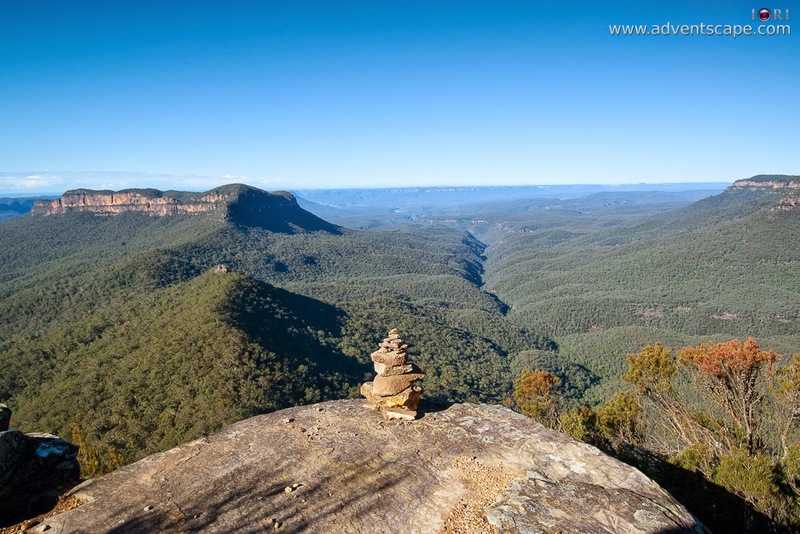 Katoomba features many lookouts, walks and trails that are very good and very scenic. The place itself is blessed with autumn trees - trees that change color (red, orange, yellow) during the fall season. 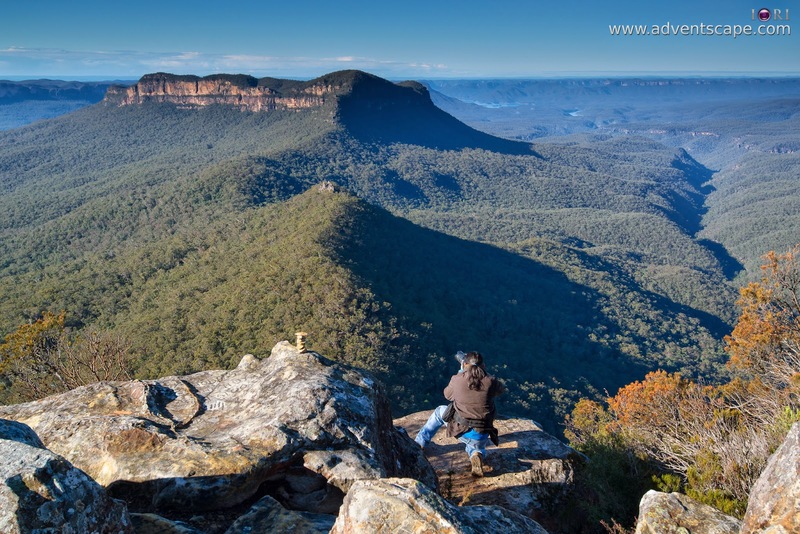 I can still remember my first Katoomba Waterfalls hike that lasted for 6 hours! (normally 4 hours). The walk and views are very scenic that it took me 2 hours of photo shooting.... OK that was a lie. 1 hour for photo shooting and 1 hour of resting. I wasn't fit that time we walked. So it took me an additional 1 hour to walk the 4 hour track. If you're intro mountaineering, this maybe a spot also for you. I'm not sure how this will work but this maybe a good spot for some people to rappel down towards the valley. When you're at Katoomba, drive to Cliff Drive. 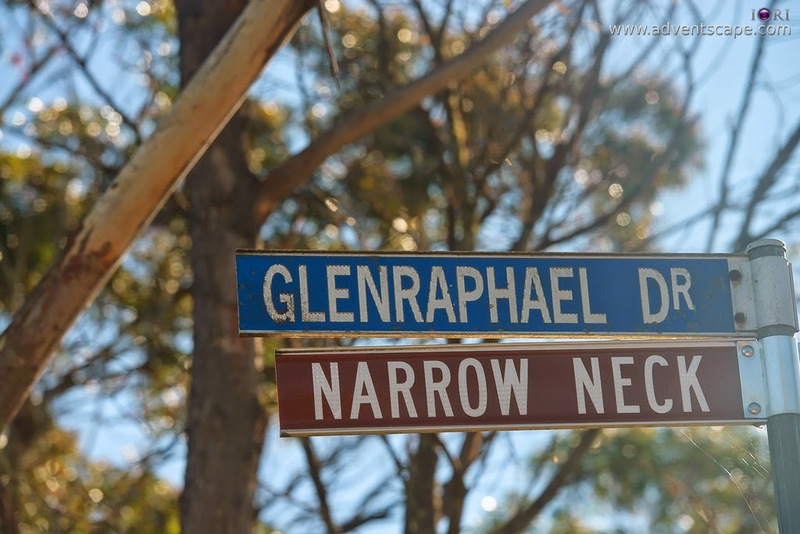 Go to the road that says: Glenraphael Road. 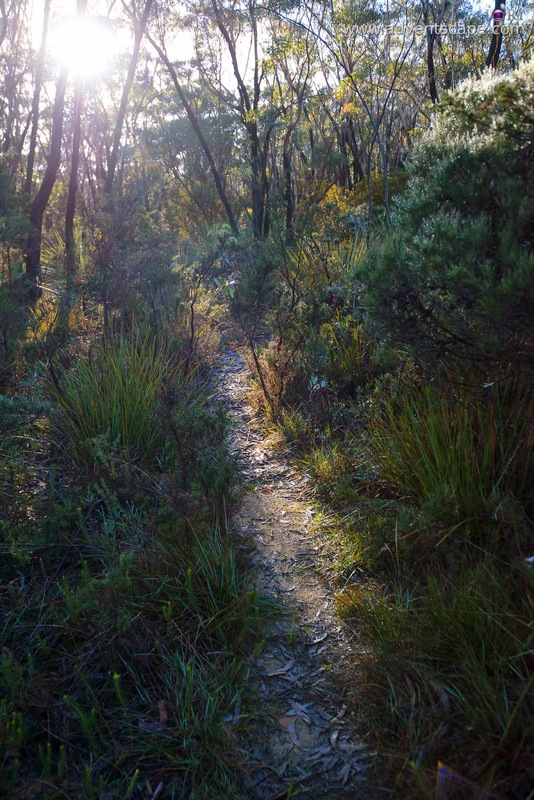 This is a dirt road (soft road) leading to Narrow Neck. An SUV is recommended as some of the 'craters' are very deep. I would avoid using a car that is lowered (chasis very close to the ground), you might get stuck! But I saw several small cars drove here without issues. But I'd still go there with an SUV. 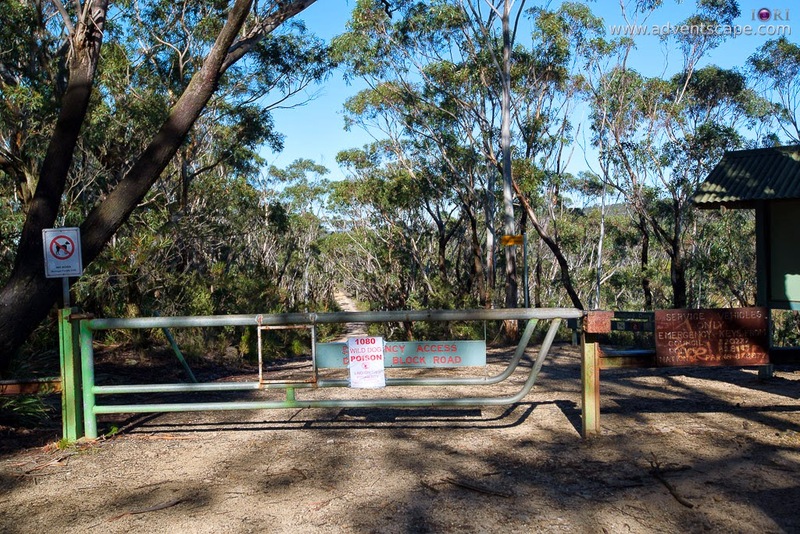 We went there twice and we were stopped twice by a metal gate that leads to Narrow Neck. From that metal gate, we walk towards the start of the trail to Castle Head. From the metal gate, I think this would be a 2 hour return walk (1 hour to Castle Head and 1 hour return). The trail leading to Castle Head lookout is straightforward. There are very few forks on the road. If there is a fork, either you walk straight or turn left. If you zoom at the map above, you'll understand why. The trail is not wide. It's not a cemented pavement where two people can walk side by side and talk all the way. One person needs to walk one at a time. There are also parts of the track where bushes are very close by that it's recommended to wear pants than a pair of shorts. Although the trail is not cemented, it's easy to follow. When bushes push closer and there are no more trees covering the sun, you're getting closer. The bushes are so close by that when you trip, the bushes will catch you. But you'll slow down on your tracks. Since there are no more tall trees, the sun is directed towards you. You might get a sunburn if you're exposed consistently. Lotion with high SPF will prevent this. You'll see a landmark when your near the actual lookout. I love this place. It's so peaceful. 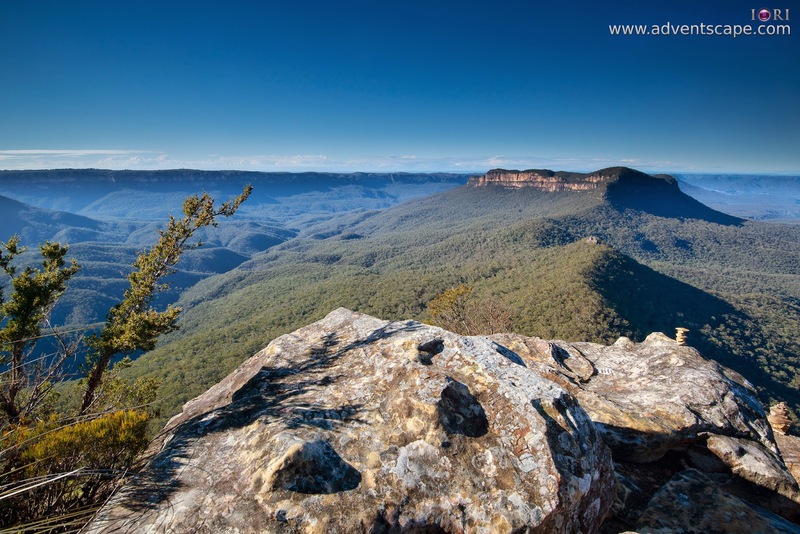 You'll appreciate the vast Blue Mountains region that your eyes could see. In front is Mt Solitary. It's very prominent against the sea of forest. 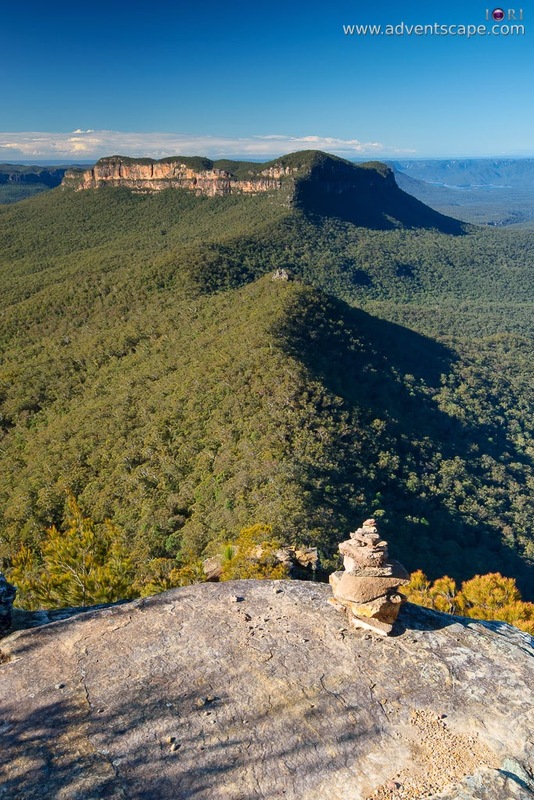 Jamison valley is just in front of Mt Solitary. The body of water that is seen from afar (right side) is Lake Burragorang. When I went there, a few people already put rock monuments there. It's a good subject to add to my composition. But when I went back 2 weeks after, those rocks were gone. They were probably blown away by strong winds that can frequent this area. You could actually see the 3 Sisters at the left side of the lookout. I wasn't able to capture this as the sun is against my lens. I could not cut through the heavy haze that time. This is a good candidate for a sunrise photography as well. I've taken my photo as I was trying to shoot Ruined Castle below. This gives a good idea what a selfie would look like. It also gives an idea as to what other composition you can create out of this place. It's an amazing destination to behold. Once there, we stopped for a while. Amazingly, there is a cellphone signal. You could actually take a photo and upload it to your social sites. I was there taking photos and eating snacks. The breeze was revitalising. It's good that we went here very early in the morning where the wind is cold and the sun was still forgiving. My friend told me that people are using the edge of the lookout to rappel down. It's not visible in the photo but there is a small access at the left side (facing Mt Solitary) of the rocks leading down another ledge. Since the access is not 'friendly' anymore, I contain myself where I am. When we were walking back the track, we saw 2 groups going to the lookout. One of them is asking "Is there another group in the lookout?". We said "No, you'll be the first one." They have ropes, harnesses, hard hats and other mountaineering equipment.